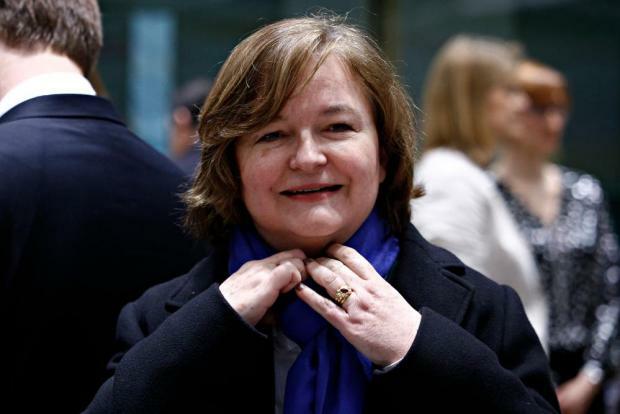 Despite reports to the contrary, French Europe Minister Nathalie Loiseau has not named her cat "Brexit", her office said on Tuesday. Reports began circulating on Sunday after the Journal du Dimanche newspaper reported that the 54-year-old had written about her pet on her private Facebook page. "I've ended up calling my cat Brexit," the paper quoted Loiseau as writing. "It wakes me up meowing like crazy every morning because it wants to go out, but as soon as I open the door, it just sits there undecided and then looks angry when I put it outside." The joke at British expense - an allusion to Britain's inability to decide when and how it wants to leave the European Union - was picked up by numerous London-based newspapers and American media outlets, and amplified on social media. But it was in fact just a joke as "Brexit" the cat - unlike the cat thought up as an experiment by Austrian physicist Erwin Schroedinger - is neither alive, nor dead. It simply does not exist. "It was a joke, obviously," Loiseau told Radio J on Sunday afternoon. "I don't have a cat." This did not stop her facing a question from a British journalist at EU negotiations in Brussels on Tuesday who enquired about her feline. "I think I have to have a certain sense of humour to deal with Brexit. Not only me, but my fellow citizens," she replied. A member of her cabinet, reached by telephone, confirmed that the minister does not own a cat.